Experimental music project exploring the theme of partnerships led by Kirsty Hamilton. Collin Hamilton, a sound engineer enhanced the recordings from the music sessions, producing three collaborative tracks involving every participant in the project using a music program called ableton live. 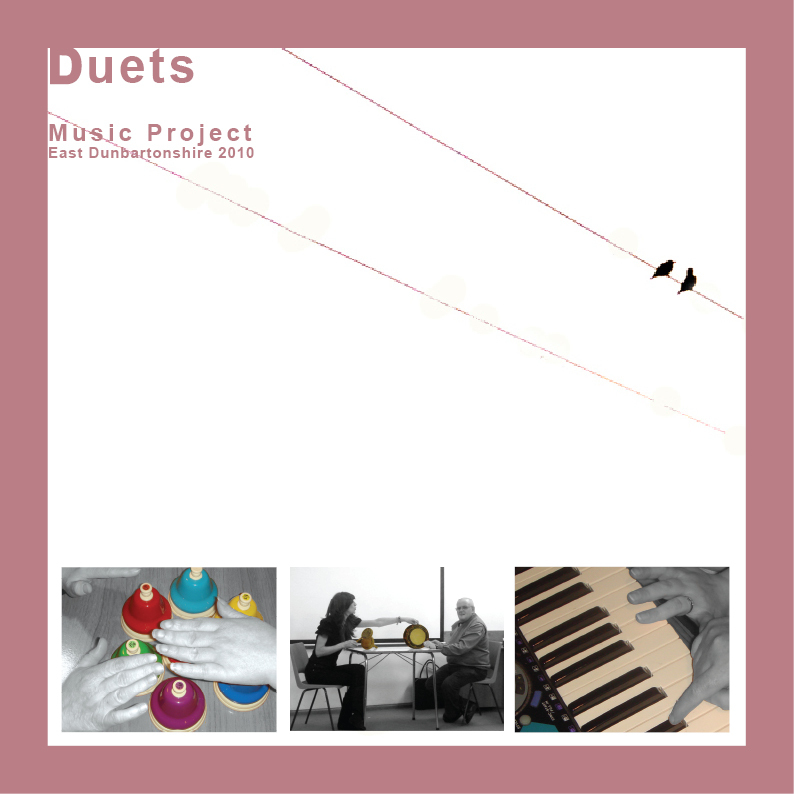 These tracks represent exchanges within the duets in the form of movements, eye contact, observations, listening and diverse sounds. This was reflected in the music improvised with melodic patterns, mirroring beats and fast tempos gradually building in energy.